Easylabel is available in three functionality levels as well as multi-user versions. The chart below is designed to help you choose which version is most suited to your requirement. Design labels including text, barcodes and logos. There is no limit to the number of designs you can create. Maximum of 25 fields (lines of text/logos/barcodes) per label. With Easylabel Silver you can also password protect your designs, increment and decrement numbers automatically, include paragraphs, print date and time, view and manipulate the print queue and even control multiple printers simultaneously. In addition Easylabel Silver can be used to download label designs to stand alone printers. Easylabel silver supports awide range of barcodes including: GS1/EAN 128, EAN 13, EAN8, ITF 14, CODE 39, UPCA, UPCE, Codabar. Unlimited fields per label, EAN 128 / GS1 128 barcode creation assistant, advanced time and date functions, two dimensional barcode symbologies, arithmetic conversion function, automatic ‘use by date' creation. Easylabel Gold even has its own internal database facility as well as the ability to link with outside databases. Easylabel Gold supports all of the same barcode types as Easylabel silver plus: UCC 128, HIBC, DataBar, MSI, PDF 417, Micro PDF 417, AZTEC, DataMatrix, 2D & QR Code, RSS14/Composite, alongside GS1 barcode wizards to help guide you through GS1 barcode creation. RFID creation assistant, Database cross referencing facility, FDA 21 CRF Part 11 compliance toolkit, Command File Monitoring, Active X controls, labels printed report feature and MRP support. Easylabel platinum supports all of the barcode types as Easylabel Gold. Multi-user versions of Easylabel Platinum are also available. 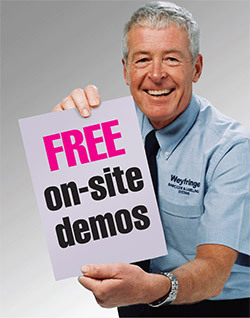 If you would like to arrange a FREE no obligation demonstration please follow the link below or call 01642 490121.